Jane Jensen, the woman who created Gabriel Knight, has a new adventure game hitting English-speaking markets. It's been a while since Jane Jensen last released a videogame, seven years in fact. Recently, though, her latest game, Gray Matter, received a German release, but now it's coming to both the U.K. and North America. 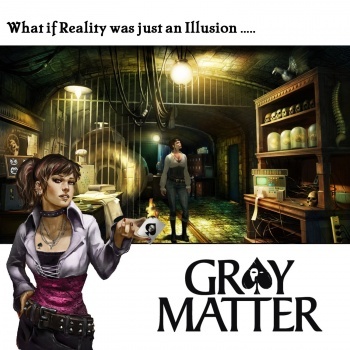 An English version of Gray Matter was included with the multi-language German version, this is the first time that the game has appeared in English-language markets. Currently, it's available for PC in both Britain and North America, though U.K. gamers also have a 360 version of the game available to them. The game tells the story of a street magician named Samantha Everett who starts working for a neurobiologist as he begins working on experiments designed to test the brain's psychic abilities. Early reviews stated that the game lacked polish, but Jensen's storytelling still made for an engaging play experience.